Vicissitude refers to a state of change or an event that occurs by chance. We all experience and grow from the vicissitudes of daily life, but artists possess the ability to creatively express the thoughts and emotions of the world’s ebb and flow. 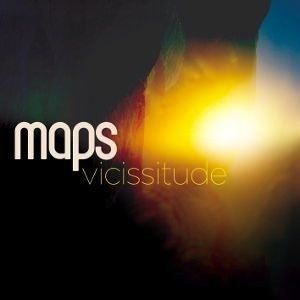 Electronic producer James Chapman aka Maps is back with a third full-length album, Vicissitude, a long awaited project reflecting the musician’s unsure yet exciting period of transition. Years after critical acclaim for his 2007 debut album We Can Create and lengthy tours with a full live band, Chapman is now more ambitious with production and reflective in songwriting. Full of introspective lyrics narrating airy backdrops, Vicissitude is best suited for a summer night walk to embrace the tide of life.